This screening will be followed by a Q&A with directors Remy Ourdan and Patrick Chauvel. The Siege of Sarajevo, lasting from 1992 to 1996, was the longest siege of a capital city in the history of modern warfare. After Bosnia and Herzegovina had declared independence from Yugoslavia, the Bosnian Serbs — whose goal was to create a new Bosnian Serb state that would include parts of Bosnian territory – encircled Sarajevo with a force of 13,000. In this award-winning new documentary acclaimed journalists Remy Ourdan and Patrick Chauvel masterfully capture the experiences of the city’s residents who experienced the siege firsthand. As these men and women recall memories of everyday life under the blockade, history interweaves with personal testimony to create a humanising portrait of battle and resistance. Sarajevo was a multi-ethnic crossroads between East and West. When the fighting began, Sarajevo was the unarmed capital of a state without an army. For Sarajevans, the war came as a surprise, and the city remained besieged for almost four years. Utilising rarely seen archive footage, poignant interviews and astounding photography, The Seige presents a multi-layered and personal account of a vertiginous descent into war. A siege is a unique phenomenon in a war: the entire city becomes the frontline, where fighters and civilians struggle and live together. For Sarajevans, their resistance was as much political, intellectual and artistic as it was military. With sensitivity for their subjects, Remy Ourdan and Patrick Chauvel present an entirely new image of the Siege of Sarajevo in which survivors tell their own stories. 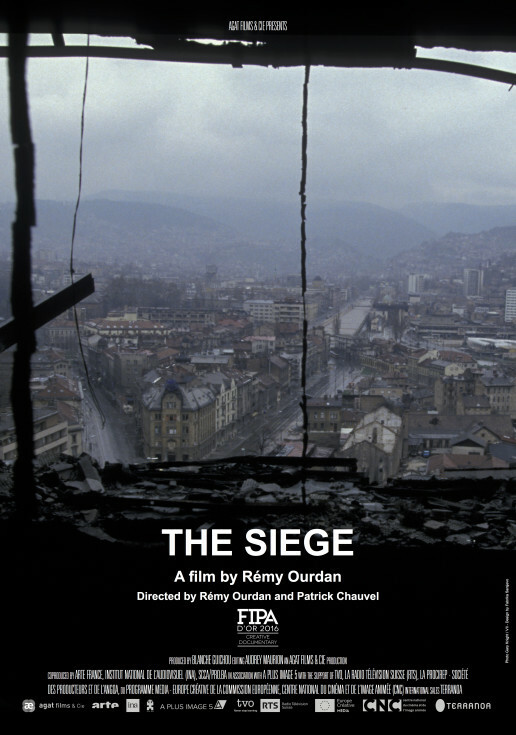 The Siege was awarded the Gold FIPA 2016 for best documentary.